Hundreds of independent stores across Australia will be celebrating Record Store Day tomorrow (April 13) with exclusives, discounts and deals. But there are extra activities to bring the punters in. (1) Cookin’ on 3 Burners have a Funk Cruise around Melbourne with four stores and four different sets (the last two with Stella Angelico). They are going to live stream from the gigs and from the Funk Wagon as they rush through Melbourne traffic to Greville Records, Prahran (11am); Rocksteady Records, Melbourne city (1pm); Record Paradise, Brunswick (3pm); Northside Records, Fitzroy (5pm). (2) RPM Records in Marrickville, Sydney, will have acclaimed music scribes Stuart Coupe and Glenn A Baker in-store to answer any questions about any record. (3) Sonic Sherpa in Brisbane are taking to the car park and running a party in partnership with the Stones Corner Hotel. The free all-ages bash kicks off at midday with a pop-up bar and food truck. 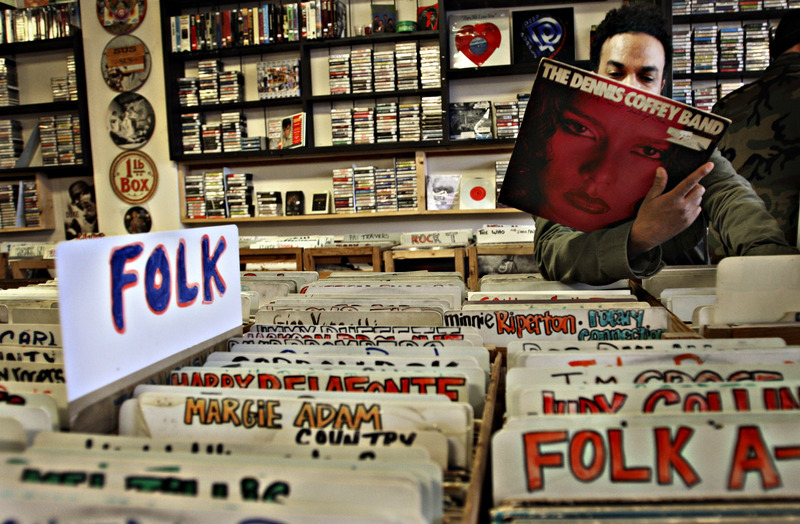 (4) Atlantis Music in Southport was the first Gold Coast store to get involved with Record Store Day. It is also marking its 21st birthday this year, so it’s a big Record Store Day with cash prize giveaway of $10,000. (5) The Record Store, Darlinghurst, Sydney has free ales, a free BBQ from midday and a turntable giveaway, plus live art from Sindy Sinn and lots of DJs. (6) Union Heights, Windsor, Melbourne, one of the country’s pre-eminent hip hop lifestyle stores, has a DJ from midday and exclusives from the likes of ‘-Red, Trem, Heata, Wallzee and Decktektive. (7) Streetlight in Adelaide has two parties. One is an all ages in-store and another at the Exeter Beer Garden kicking off at 5pm with Tork, Ghyti, Hey Harriett and Katie Pomery. (8) Rhubarb Records in Perth (Leederville and East Vic) is hosting a bash at the Nowhereman Brewing Company 2pm to 11pm with craft beer, DJs and live music from Moana, MYTHS and Tanaya. Food from noon. First 20 customers get a spot prize while a major prize pack includes a turntable. (9) Northside in Fitzroy, in Melbourne’s vinyl triangle, has a massive line up of live music including Cooking On 3 Burners ft Angelico: Gordon Koang; Franco (Plutonic Lab and Natalie Slade); DJs all day; T shirt collaboration with Burn to reproduce classic sunway designs. (10) Clinic 16 in Adelaide has a massive hip hop day with DJs Delta Staen1, DJ Osyris and Lotek1200. (11) Utopia Records in Sydney opens at midnight for an hour, closes and re-opening at 7am. A Golden Ticket from Century Venues is up for grabs. (12) White Rabbit in Melbourne’s Kensington has DJs all day, Jess Ribeiro & Truly Holy live in store, free munchies for crate diggers, plus the spinning wheel is back. (13) Dog Swamp in Perth has some eclectic acts including a 12-year-old accordion prodigy playing with his grandfather, and a jazz pianist at lunchtime. (14) Basement Discs in Melbourne has a massive day of live music with Deborah Conway & Willy Zeigler; Mick Thomas’ Roving Commission; Tracy McNeil Band; Tim Rogers, Davey Lane and Shel Rogerstein; Fenn and George Wilson; and Yolanda Ingley II and band. And the epic music trivia quiz. (15) Jet Black Cat in Brisbane’s West End is unveiling the T-shirt for this year by Sam Netterfield of Cub Sport.